A great travel camera fits in your pocket and never gets in the way. It's ready in an instant to capture a wide-angle landscape one minute, a distant subject the next. Above all else, it lets you bring home the sights and sounds of your journey. 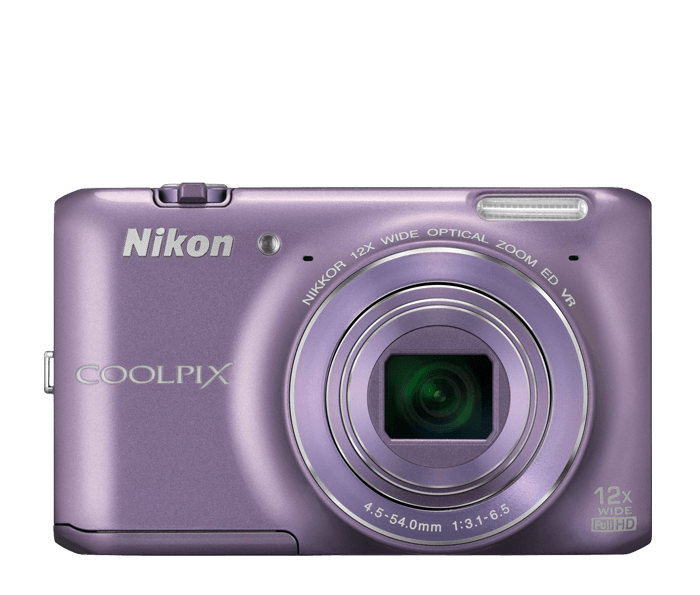 Meet the COOLPIX S6400, an ideal travel companion. Hidden within its slim design is a powerful 12x Zoom-NIKKOR glass lens that brings the world closer; a highly sensitive CMOS image sensor that catches every detail, even in low light; a new Intelligent AF System that keeps focus where you want it; Quick Effects for adding your special touch to photos; Full HD (1080p) videos and much more. Have you ever captured what would have been a great shot only to discover that your camera focused on the wrong thing? With the COOLPIX S6400 your focus is always in the right place. Its Intelligent AF System analyzes your photo, determines the main subject and applies exactly the right focus in the right places for razor-sharp results—even on small, close-up objects. Transport your friends and family to faraway places with your photos and videos. The COOLPIX S6400's highly sensitive CMOS sensor excels in low-light conditions like sunsets, fireside gatherings or dim restaurants, so you'll bring home shots never before possible. All the splendor of your adventure will be captured in brilliant clarity. Wonder how that photo would look in black & white? With Quick Effects, you can preview 30 different effects and filters by swiping the camera's 3.0-inch touchscreen. Find one you like, tap Save and get back to shooting! With the touch of a button, the COOLPIX S6400 starts recording Full HD (1080p) videos with stereo sound. Capture an amazing moment forever, then relive it every time you watch the movie. *Based on Camera and Imaging Products Association (CIPA) standards for measuring the life of camera batteries. Measured at 23(-/+2)°C (73(-/+4)°F); zoom adjusted with each shot, flash fired with every other shot, image quality set to Normal, image size set to 4608 x 2592. Battery life may vary depending on shooting interval and length of time menus and images are displayed.